1. 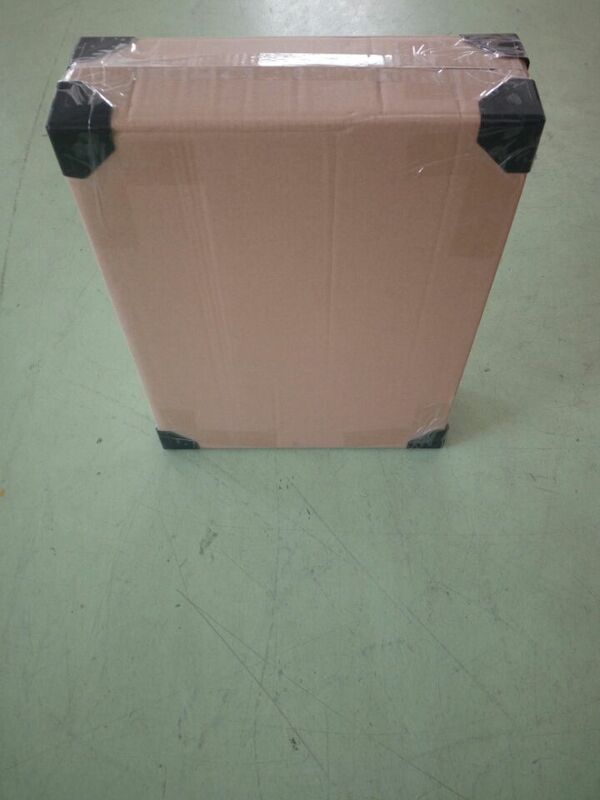 The use of metal frame, surface polishing, smooth and not rust. 2. Imported glass lenses, thickness 5MM, high-definition imaging. 3. 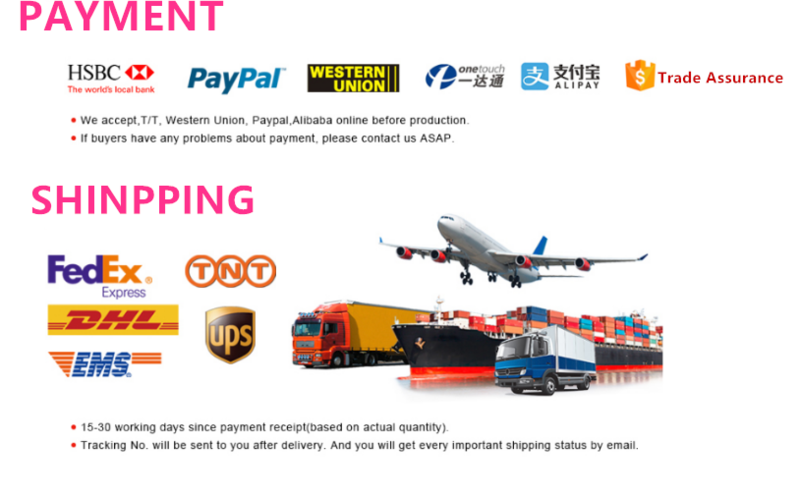 Highlight LED bulbs, life of up to 50,000 hours or more, very durable. 4. Dual switch, yellow / white light to switch. 5. Touch the switch, adjust the brightness, long press the switch, you can adjust the brightness of the bulb. 1. 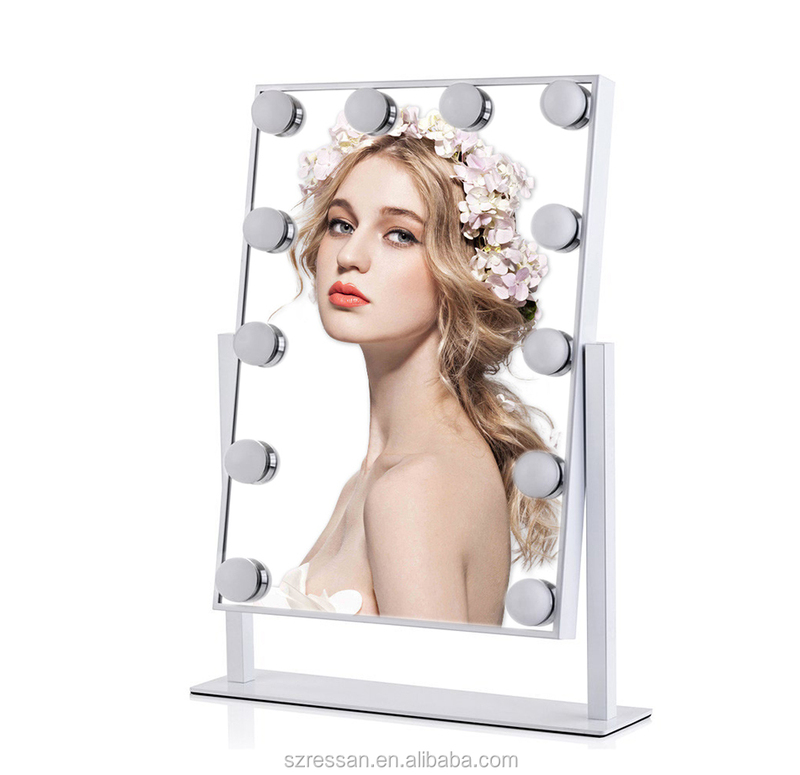 This is a large hardware desktop mirror. Bigger and brighter. 2. 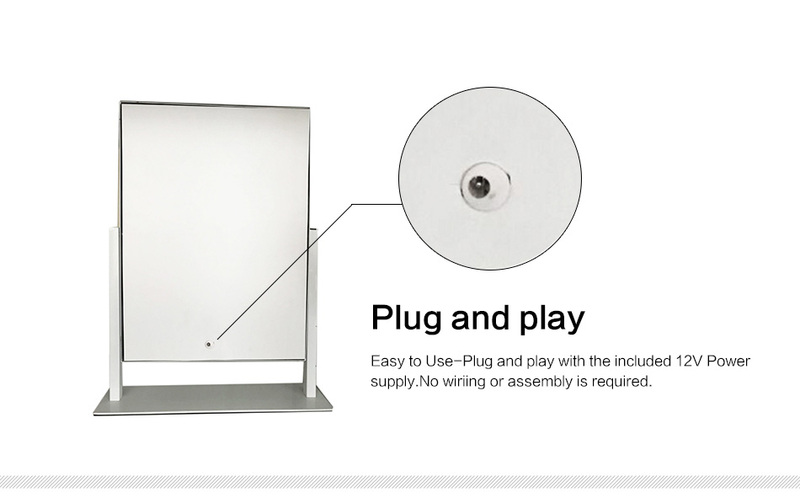 Optimize the structure, installation and removal easier. 3. 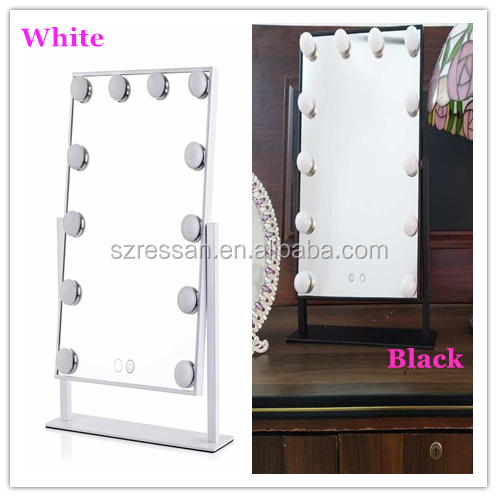 Mirror can be used as a lamp. 5. 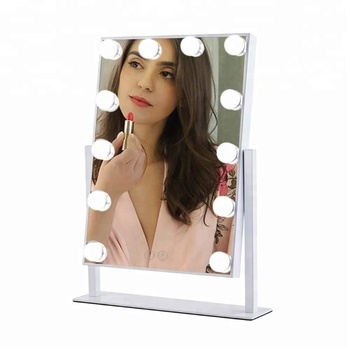 12 bright LED lights, room lighting is not enough, can make makeup easy. 6. 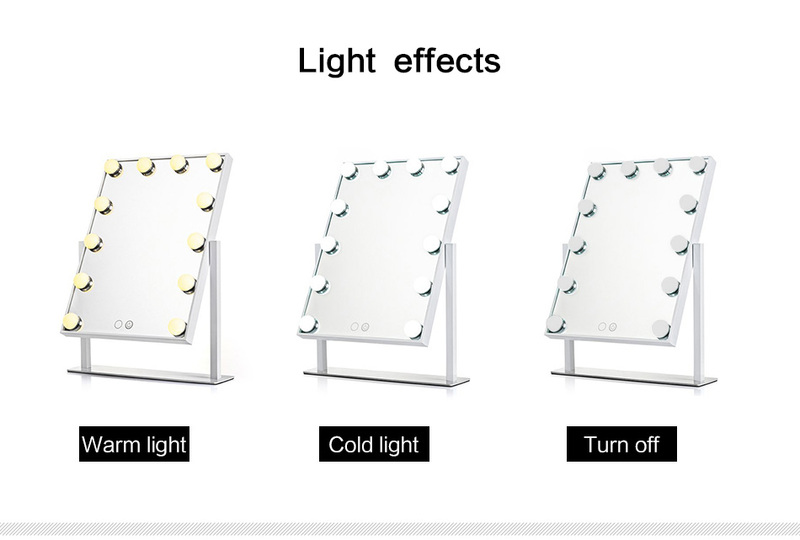 Smart chip can adjust the brightness of the light. 7. DC direct charge power supply. 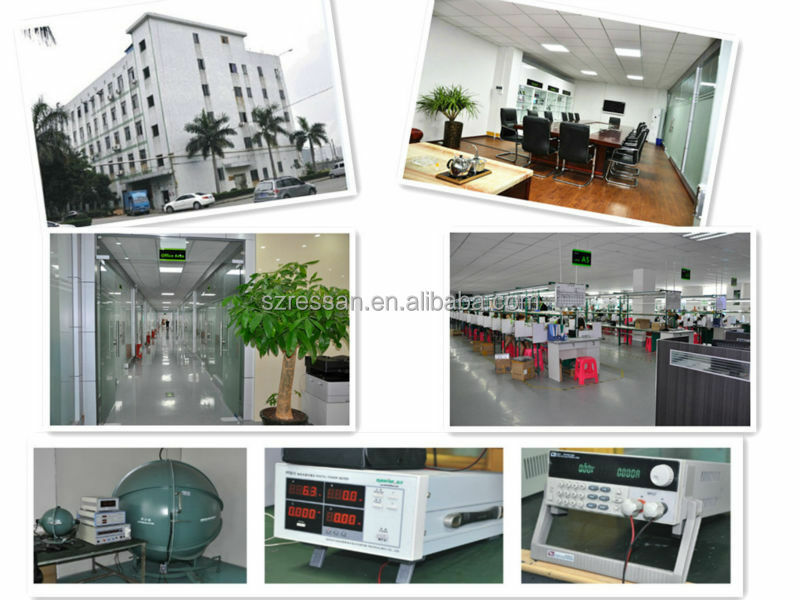 ShenZhen RESSAN Technology Co.,ltd was established in 2014 , located in ShenZhen Guangdong China. Our factory covers an area of 2,000 square meters and has more than 100 professional workers , with 5 mold engineers ,6 QC staffs and 22 sets injection molding machines ,and 6 sets large mold equipment ,competitive price and high quality are our advantage. 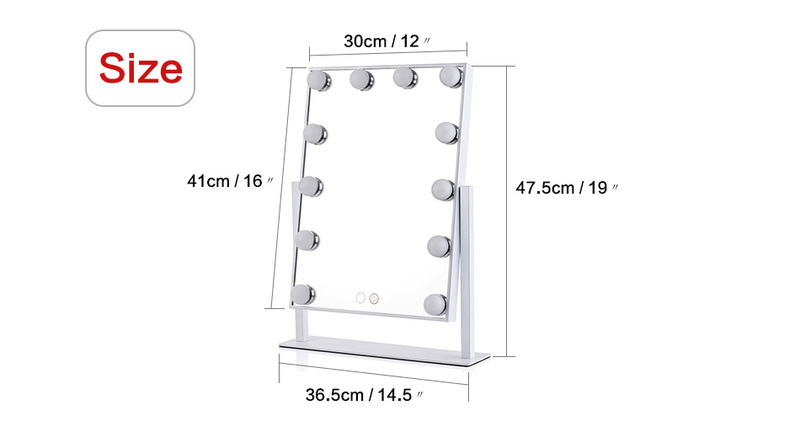 We are specialized in all kinds of led mirror with more than 4 years experience ,such as magnifying led mirror , Vanity led mirror , Travel led mirror ,Table led mirror. 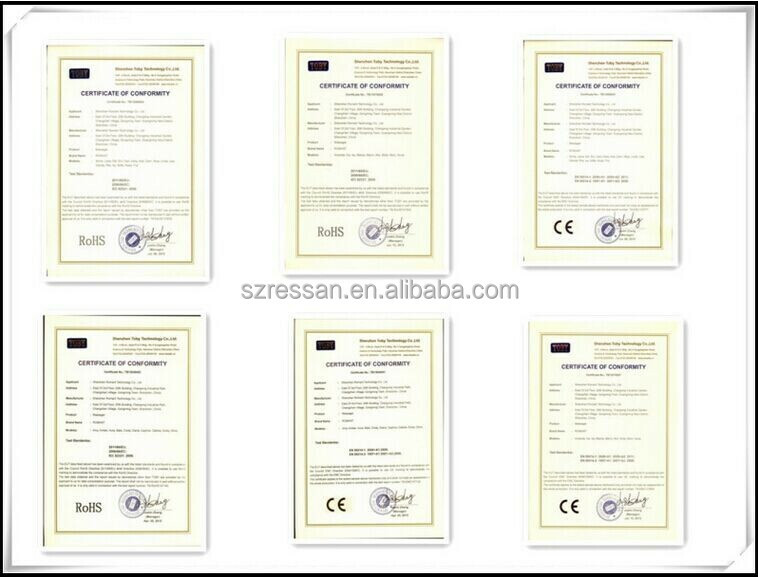 We have top level quality , international R&D team, strong manufacture supplying capacity, provide professional foreign trade service to ensure our clients satisfaction ,for now, our products are exported to all over the world, especially, North America, Europe ,and Asia ,etc.we only use ECO-material such as TPU PC Silicone, Most our product are in stock , safe&fast delivery is provided. 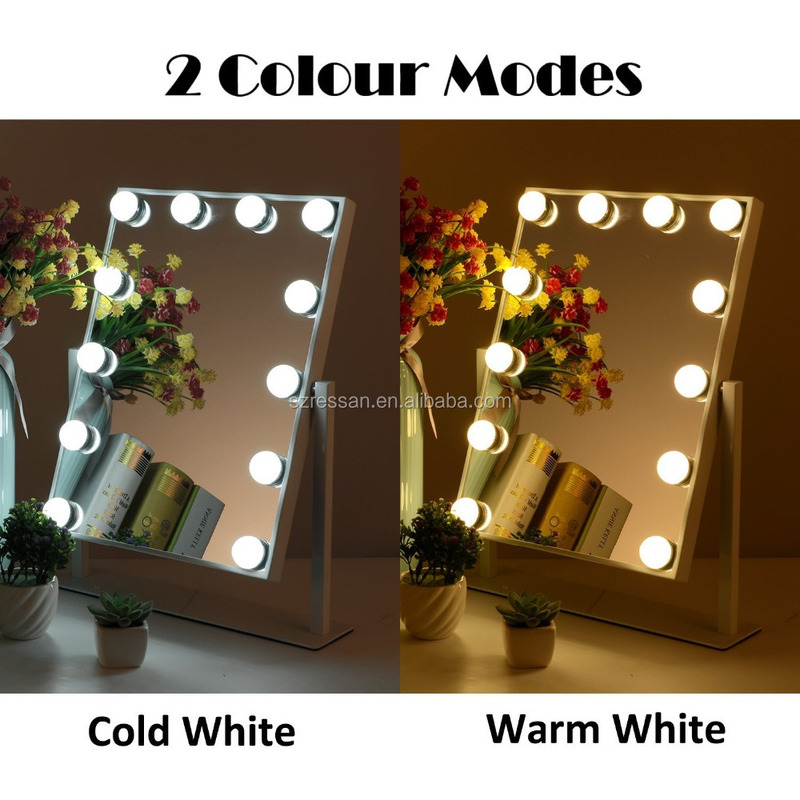 1: Do the bulbs really give off enough light to illuminate your face for make up? A: Yes the lighting could be dimmable, so it puts off a beautiful light! I now enjoy doing my makeup. Happy with this mirror! 2: does this come with bluetooth? A: No, that would be cool if it did. 3: What powers the lights? Plug or battery? A: Comes with a power cord. A: This can not be wall-mounted. 5: Are the bulbs replaceable? 6: Do bulbs get hot? A: Mine never have. 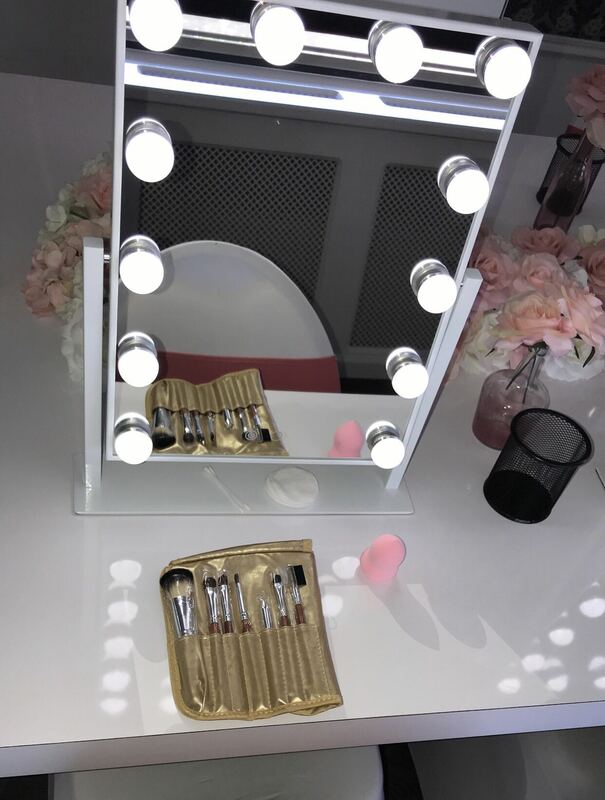 This mirror is wonderful! 7: Do the light bulbs burn out? A : Hi there! I haven't had that long. So far so good! The dim and brighten really well! 8: Just received mine, is there a trick to turning it on?? Plugged in, pushing buttons and nothing??? A: You tap the button in the front and it should turn on! All I did was plug mine in and gently tap the front where the power button is .